HomeSuspiciousStylewe.com Review: Is Stylewe Scam Or Legit? Stylewe.com Review: Is Stylewe Scam Or Legit? Beware of Stylewe.com because there are lots of warning bell ringing for this company. Well, you will definitely find out why we think Stylewe.com is a scam and what is Stylewe.com in real within our Stylewe review here. You don’t have to search any other Stylewe.com reviews to find out the reality of this company. So, let’s begin with our Stylewe review. # The address (2.27 Romer House Lewisham High Street, London, England, SE136EE) that Stylewe.com has provided on its website is using by lots of other similar kinds of sites such as Quick-Mall, ZZPlus, HBuys, Hexpress, MartxPlus, OnSales.Sale, PopJulia and so on. However, legit websites always provide the separate phone number and address, not the one which has been used by lots of suspicious sites. # Legit sites will mention on their website if they are linked with other sites. However, Stylewe hasn’t provided any information about its link with other sites whose address it has been using. So, it is clear that Stylewe has been operating and running by the same person who doesn’t want to reveal the list of multiple sites he/she owns which obviously rings the big warning bell. # 2.27 Romer House Lewisham High Street, London, England, SE136EE is the address that Stylewe has provided as its company’s address on its website. However, when we check the WHOIS details of Stylewe.com, we find out the owner location is from Hong Kong and website location is from the United States. So, this mismatch addresses makes it clear that Stylewe is not providing its real company’s address which is definitely a big warning bell. # The lots of details in WHOIS of Stylewe.com matches with other similar kinds of suspicious sites. # You can find lots of complaints against Stylewe within sites like Trustpilot.com, Sitejabber.com. However, you can find out some positive Stylewe reviews as well within those sites. But, Trustpilot has already confirmed that Trustpilot has found lots of fake reviews on Stylewe (find the screenshot below taken from Trustpilot). So, this confirms those positive reviews are all made up. On top of that, even if we consider those positive Stylewe.com reviews, still, we can find out lots of complaints against Stylewe from its users. 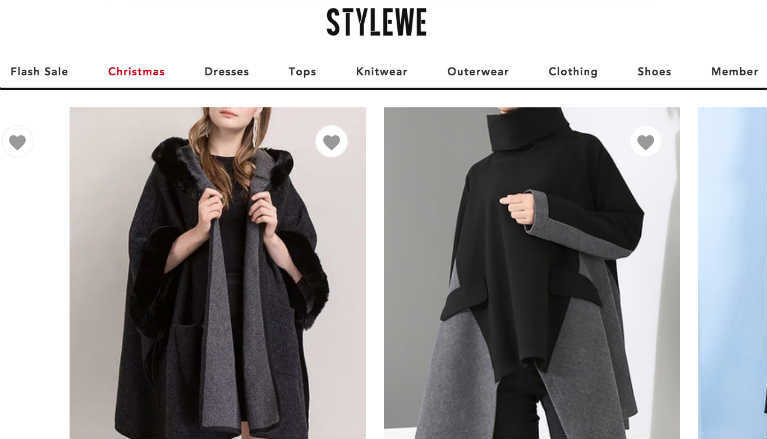 # Lots of users have complained that Stylewe delivered them wrong items, cheap quality as well as unfit size items which are completely different than what Stylewe has advertised on its website. So, delivering cheap quality or wrong items by showing high-quality items is definitely not a good sign of any business. 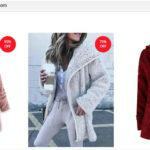 # These days multiple new online stores are popping up and claiming to sell various items on huge discount, but most of them are scams. So, it’s better to stay away from the new online stores or at least do some research before you purchase something from the new online stores because most of these new online stores don’t deliver the purchased items to their clients or, deliver completely different or very low-quality items. Some of these kinds of online stores even have charged the credit card of clients randomly without their consent. So, if you have ever purchased mistakenly from scam sites, we suggest you immediately contact your bank or credit card company to secure your credit card information. Now you must be clear why we think Stylewe.com might be a scam through our Stylewe.com review as above. So, we don’t recommend you to purchase anything from Stylewe. If you want to say something about Stylewe.com or want to add your own Stylewe.com reviews, then please feel free to leave your comment below. If you want to share this Stylewe review with your friends and families through your social media accounts to make them aware of this company, then please feel free to do so. I wish I had seen your review first. I am a victim of stylewe. Wrong sizing, poor quality, terrible shipping, and the return policy is a nightmare. They offered me a small partial refund if I kept the clothes. They talked about the high cost of shipping items back and the problems of going through customs. Yes, that is what Stylewe is doing with lots of its customers.